to find a Lawyer in your area. ?You will need to enter your File ID or Quick Pass to join a conference. If you use a File ID you will be asked for your password after you click enter. If you do not have a password, please contact your legal professional. HOW MANY LAWYERS ARE IN PRACTICE? The number of practicing lawyers is growing steadily. In the United States alone, the lawyer job market is currently at approximately 759,200. About three out of every four lawyers is practicing in a law firm or is a sole practitioner, according to the U.S. Department of Labor. See reference The legal industry is growing at the rate of about 20,000 to 40,000 new lawyers each year. This is based on a factor of around 200 law schools each graduating about 200 new lawyers a year. See reference This means that services conventionally being provided by law firms could potentially be siphoned and performed by other professions. However, when it comes time to resolve a personal injury issue, a workplace problem, bankruptcy, criminal maters or domestic troubles, the only real solution is a lawyer. Start your search for a lawyer today! Many Internet sites force you to waste a lot of time trying to guess a lawyers areas of practice or you end up with a lawyer who is not even close to where you live. Lawyers Listings was developed with the consumer in mind and, therefore, we strive to ensure that selecting a lawyer is an easy process by providing three simple options to locate a lawyer. The First Step to find a lawyer is to select the state in which you reside or where you wish to retain a lawyer. The Second Step to find a lawyer is to click on the city in which you reside or the city that is the closest. The Third Step to find a lawyer is to look through the directory of lawyers listed under the city you chose, and then pick the lawyer who practices in the areas of law that most pertain to your issue. 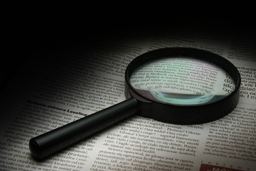 That’s how easy it is to find a lawyer using Lawyers Listings! VIEW OUR ROLODEX OF LAWYERS’ BUSINESS CARDS! On the Lawyers Listings website, we post individual lawyer logos, which is typically an electronic version of their business card. To look through the lawyers’ business cards that we have on file, please CLICK HERE! 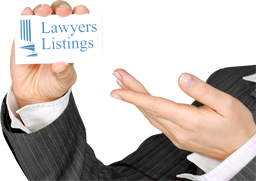 Looking for directories of other legal professionals? Find listings from court reporters to process servers on Lawsonline.com. Lawyers Listings was developed with the consumer in mind and, therefore, we strive to ensure that selecting a lawyer is an easy process by providing three simple options to locate a lawyer. We encourage individuals to send comments and suggestions about how we may improve our site. Please send all inquires to webmaster@lawchek.net. 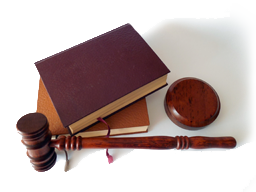 This listing service is designed to comply with each state bar association and the respective attorney listing regulations. Therefore, each attorney must review and verify that the attorney's specific listing, profile and/or home page placed on this site is correct in order to insure compliance. Lawyers, please contact our customer service at 1-800-529-5121 to add your firm to our directory. Disclaimer:The listing by any attorney is based upon that attorney’s representations of his or her own professional standing in the practice of law. The descriptions of disciplines of law practiced, legal expertise, or special areas of legal interest may or may not necessarily qualify that particular attorney in a certain discipline since there may or may not be an agency or board that specifically certifies an attorney as a specialist or an expert. In view of the fact that the representation of an area of expertise is simply the view of the attorney himself or herself, it does not necessarily mean the attorney may be any more competent or have any more expertise than any other attorney in that particular area of law. Consequently, each consumer must personally judge the abilities of the attorney based upon the interview that they conduct with the attorney. LAWCHEK©, Lawsonline™, and LawyersListings.com DO NOT CONFIRM OR SUBSTANTIATE ANY REPRESENTATIONS OR CLAIMS BY INDIVIDUAL LAW OFFICES OR ATTORNEYS. This site produced and powered by enlighten technologies incorporated™.